This ‘fig bread’ uses no flour so is naturally gluten-free. 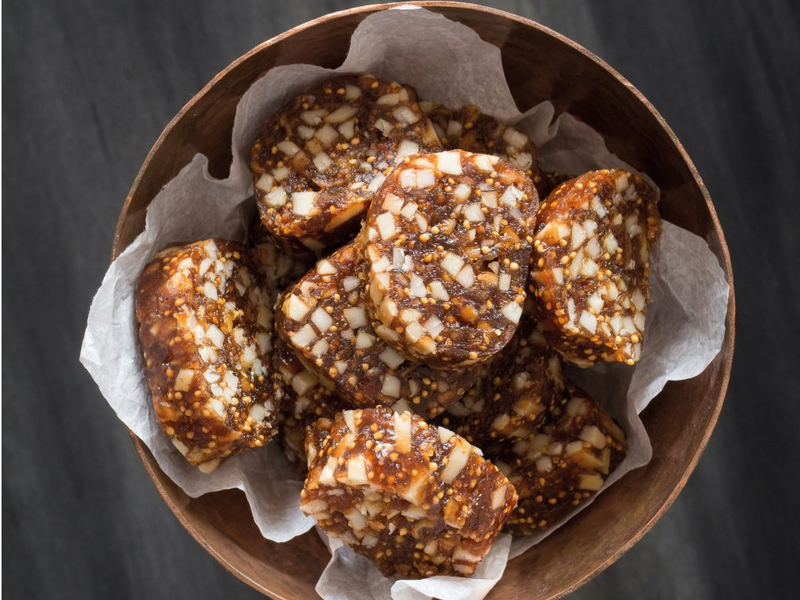 Its an amazingly tasty and simple recipe that’s great eaten as a snack during the festive period. Pan de higo is a traditional Spanish recipe invented to preserve figs over winter. This ‘fig bread’ uses no flour so is naturally gluten-free. Its an amazingly tasty and simple recipe that’s great eaten as a snack during the festive period. The balls last a long time and travel well, so they also make lovely gifts for friends and relatives. Whizz the almonds in a food processor until most are finely chopped, then tip into a large bowl. Roughly chop the figs, then whizz them to a smooth sticky paste. Add the prunes to the food processor and continue to mix until well blended. Scrape the blended fruit onto the almonds then, using your hands, mix together well with the other dried fruit, brandy, honey and cloves. Divide the mixture into little balls. Tip the sesame seeds onto a tray, then roll the balls in them until covered. Cover the tray loosely with a clean tea towel, then leave the fig balls to dry for a week before packaging.